Ms. Lai is a seasoned corporate attorney, with over a decade of experience representing U.S. and Chinese public and private companies and financial institutions in connection with a variety of M&A, joint venture, venture financing and capital market transactions. Since founding MagStone, she has led the firm's efforts in a number of China-U.S. cross border M&A transactions, including recently Genimous' $252 million acquisition of Spigot and Spearhead's proposed $148 million acquisition of Smaato. Ms. Lai also advises numerous China originated conglomerates, investment groups and venture capital funds in connection with their U.S. investment initiatives, including Shanda Group, Oceanwide Group, Sun Seven Stars, Haiyin Capital, Cybernaut Capital, Westlake Capital, Bojiang Capital, PreAngel, SV Tech Ventures, Thinkers Capital and Yunqi Capital. She was the lead attorney in Haiyin's $50 million investments in over ten U.S. high-tech companies, which was featured by the Fortune Magazine. Prior to founding MagStone Law, Ms. Lai worked for Davis Polk & Wardwell LLP in its New York, Hong Kong and Menlo Park offices, and for Sullivan & Cromwell LLP in its Hong Kong office. At Davis Polk, she was a lead attorney in the IPOs or financing projects of ChemoCentryx, Dynavax Technologies, Agriculture Bank of China, China Merchants Bank, Yingli Green Energy, Chartered Semiconductor Manufacturing, Honeywell and CIT Group. 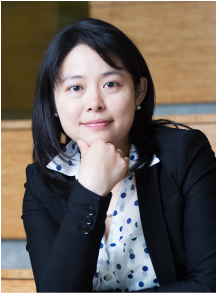 Ms. Lai also worked on Warburg Pincus' acquisition of Fanhua Datong, Hurray! 's acquisition of Ku6, Morgan Stanley Infrastructure' acquisition of a toll bridge in Kolkata, Sodexo’s acquisition of the RKHS in India, Nautilus Hyosung’s acquisition of Triton, Limited Brand's joint ventures in Asia and Metalmark Capital’s investment in Maxum Petroleum. Ms. Lai received her L.L.B (Honored Graduate) from Peking University Law School and her LL.M. (James Kent Scholar) from Columbia University School of Law. Ms. Lai speaks English, Mandarin and Hakka. Ms. Lai is admitted to practice in California and New York, and she is also qualified to practice in the P.R. China.